or biosimilar status is a long and winding one. The ecosystem that nurtures and creates these biologic therapies is as complex as the molecules they are developing. Immune therapies are quickly becoming the fourth pillar of cancer treatment. The success of the clinical pipeline will lead to an unprecedented number of new molecule launches, rising from a handful a few years ago to 10 to 15 annually in the coming years. A further steep increase is to be expected as multiple players begin to receive approvals to produce biosimilars after 2015. One recently approved biologic is making headlines and offers the industry a case history of biopharmaceutical R&D success. In December 2015, the Washington Post reported that President Jimmy Carter had advanced melanoma and was beginning radiation therapy.3 The report said Carter would also be receiving an infusion of Keytruda, Merck’s first among a promising new class of immuno-oncology (I/O) drugs aimed at unleashing the human immune system to fight cancer cells. Keytruda was launched in the fourth quarter of 2014, and according to Merck, global sales in 2015 were approximately $566 million.4 Keytruda, as well as similar I/O therapies, works by allowing the body’s immune system to recognize and attack cancer cells as it would do to any other intruder. Immune therapies are quickly becoming the fourth pillar of cancer treatment, say industry experts. These types of drugs are expensive — Keytruda is roughly $150,000 per year, but it has shown remarkable results in some patients, including Carter, who announced he was “cured” of his melanoma. In early March, the Tufts Center for the Study of Drug Development (CSDD) announced findings of a new report on investments in research and development for new I/O drugs.5Tufts says dramatic improvements in complete response rates in trials for new I/O therapies are helping to increase the number of alliances between pharmaceutical, biotech companies, universities and cancer centers. Thirteen universities and cancer centers in the U.S. have announced research alliances with pharma and biotech companies, and the number of I/O alliances between pharma/big biotech and small enterprises grew at a torrid pace, accounting for $39 billion in research commitments over three years. Currently, more than 130 biotech and 20 pharma companies are developing I/O therapies, according to Tufts. That activity reflects — and is fueling — worldwide I/O product sales, explains Tufts, with annual revenues expected to reach $25 billion to $40 billion by 2020, up from $2.5 billion in 2015. The biopharmaceutical industry’s recent successes have been fueled by massive commitments of private and public capital, as well as billions in corporate operational budgets and other resources. Success breeds success, and it’s clear that oncological therapies are going to attract even more investment. The following offers a review of the complexities of the biopharmaceutical supply chain and trends across a development ecosystem that is, by most accounts, effectively translating research dollars into highly successful treatments that save lives. To a great degree, contract service providers, including CROs and CDMOs, are becoming an integral part of the industry’s success and are fast becoming key contributors in this incredibly dynamic pharma sector. “Good news from Jimmy Carter. He’s cancer-free,” Washington Post. Dec 06, 2015. Merck Press Release, “FDA Approves KEYTRUDA® (pembrolizumab) for the treatment of Patients with Metastatic Non-Small Cell Lung Cancer who Express PD-L1 with Disease Progression on or After Platinum-Containing Chemotherapy.” Oct 02, 2015. 5.Tufts Center for the Study of Drug Development Press Release, “Promise of Immuno-Oncology Therapies Is Boosting R&D Funding and and Alliances.” Mar 08, 2016. Here novel molecules find their human potential and begin translating discovery into meaningful therapeutics. Before any new biopharmaceutical molecules reach the preclinical stage, they have to pass through a series of selections at the discovery stage: target discovery and validation, hits generation and screen, and lead selection and optimization. During preclinical development, the critical question biopharmaceutical developers seek to answer is whether the novel molecule is safe to be tested in humans — which is also the primary concern of regulatory agencies. The safety assessment starts early, in the stage of screen preparation when bioassays (used to assess biochemical and functional properties such as binding and efficacy assays) of lead molecules are initially developed. As the candidates advance to the preclinical stage, more extensive tests have to be performed both in vitro and in vivo to gain better understanding of their pharmacodynamics (PD) and pharmacokinetics (PK) behavior and establish their pharmacologic, safety, and toxicity profile. Concomitantly, biopharmaceutical developers need to assess their manufacturability and plan for GMP clinical-scale production since larger quantities of biopharmaceuticals will be needed for clinical trials. Bringing a novel biopharmaceutical from bench to bedside takes a broad range of collaborations across biopharmaceutical industry, academia, patient and disease groups, government, and contract research organizations (CROs). Groundbreaking discovery (i.e. a novel drug target) flourishes in academia. However, it is the industry that leads the efforts in translating the discovery into meaningful therapeutics. To improve the R&D efficiency and accelerate development, engaging with CROs has become a widely adopted strategy by the biopharmaceutical industry. According to the 2016 Nice Insight CRO Outsourcing Survey, 80% of the respondents acquire or plan to acquire preclinical trial services while 53% of them currently engage with cros for preclinical (includes discovery phase) research. 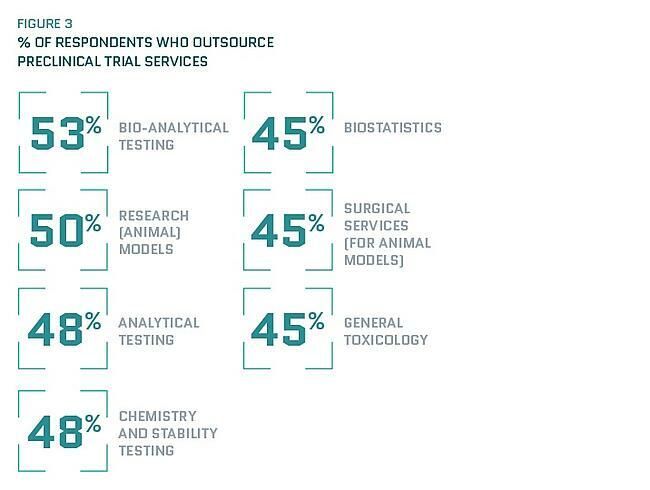 Among a cluster of 16 preclinical trial services, bio-analytical testing (53%), research models (animal models) (50%), analytical testing (49%), chemistry and stability testing (48%), and biostatistics, surgical services (for animal models), and general toxicology (45% respectively) are the top 5 most needed services.12 Midsized pharma/ biotech companies demonstrate a slightly higher than average demand for all of the surveyed preclinical services while the service demand from small pharma/biotech is lower than average. In selecting CROs for biopharmaceutical preclinical development, a CRO’s development experience weighs heavily in a sponsor’s decision-making process. A CRO’s experience and expertise in bioanalytics, pharmacology, toxicology, and PK and PD is critical in designing appropriate studies so that valuable safety information of the molecule of interest can be collected and evaluated. Vertical integration is another desired feature often sought by biopharmaceutical clients when selecting a CRO. 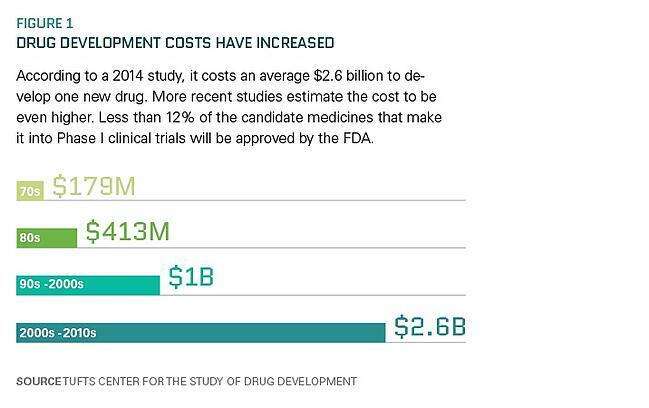 Drug discovery and development is a continuous coordinated process of research, production, and regulation. In the preclinical phase, CROs with expanded expertise in manufacturing, regulation, and clinical studies are more capable of synchronizing preclinical testing, production and regulatory compliance in a holistic manner, and are thus poised for a long-term partnership with biopharmaceutical manufacturers. Steve Kuehn, Cynthia Challener, Ph.D., Marilyn Seiger, MA, MBA and Carrie Cao, Ph.D.
Philippidis, A.,“Studies Suggest that When It Comes to Drug Development Success, Size Matters,” GEN Exclusives. Apr 09, 2012. http://www.genengnews.com/insight-and-intelligence/studies-suggest-that-when-it-comes-to-drug-development-success-size-matters/77899586/. 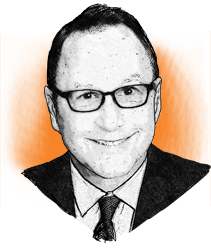 Gaffney, A., Mezher, M.,“Regulatory Explainer: Everything You Need to Know About FDA’s Priority Review Vouchers,” RAPS. Jul 02, 2015. http://www.raps.org/Regulatory-Focus/News/2015/07/02/21722/Regulatory-Explainer-Everything-You-Need-to-Know-About-FDA%E2%80%99s-Priority-Review-Vouchers/. ICH Preclinical Safety Evaluation of Biotechnology-Derived Pharmaceuticals S6(R1).http://www.ich.org/fileadmin/Public_Web_Site/ICH_Products/Guidelines/Safety/S6_R1/Step4/S6_R1_Guideline.pdf. McVean, M., “Preclinical Development to IND: Drugs, Biologics, Cellular/Gene Therapies and Vaccines,” PreClinical Research Services, Inc. Apr 18, 2014. http://www.cobioscience.com/biobootcamp/McVean_BioBootCamp_Preclinical%20Dev%20to%20IND_2014.pdf. McDougal, A.J.,“Preclinical Development [CDER]: Biological Therapeutics for Cancer Treatment,” iSBTc Oncology Biologics Development Primer. Feb 28, 2008.https://www.sitcancer.org/meetings/am08/primer08_oncology/presentations/3_mcdougal.pdf. The 2016 Nice Insight Contract Research — Preclinical and Clinical Survey. Bringing a promising molecule to commercial, therapeutic reality requires intensive focus on process development and analytical and clinical validation. According to the 2016 Nice Insight CDMO Outsourcing Survey,3 about two-thirds of companies are developing large-molecule products as new biological entities (NBEs), surpassing small-molecule products at 57%, while half focus on biosimilars — another jump from previous years. Most of these companies are developing antibody drug conjugates and vaccines, followed closely by hormones, blood factors and growth factors. With strong growth in this market, biopharma companies are increasingly relying on outsourcing providers for technical and scientific expertise, regulatory support and operational efficiency. Contract service providers are well positioned for accelerated growth in the years ahead. As the development of biologics becomes increasingly more complex, big biopharma companies are acquiring smaller and medium-size companies and partnering with high-quality service providers to fuel new product development. The trend of small biotech partnering with large pharma for clinical development has facilitated the development of more novel molecules. Preferring fewer, well-qualified contractors, sponsor companies are choosing outsourcing partners that offer sophisticated technology, advanced methodologies, comprehensive services, and the needed skills and expertise to develop high-quality products with optimal efficiency. The continuing trend of industry consolidation enables drug sponsors to develop their candidates under one roof, and helps ensure a continuum of quality throughout the development process. MS-based methods and next-generation sequencing (NGS) technologies address the need for greater sensitivity in less time.4 NGS is also being applied to quality control testing in the lab. It is a highly sensitive, universal test to detect and identify any adventitious virus throughout the product lifecycle in a single, comprehensive analysis that minimizes false negatives without prior specification of their nucleic acid sequences. The process involves the sequencing of all nucleic acid material present and the application of algorithms, filtering steps, and taxonomic assignment to determine the presence and identity of contaminating viruses in biologic compounds. Advanced MS instruments with significantly increased sensitivity provide greater insights into the impurity profiles of biotherapeutics and allow the identification of previously unknown host-cell contaminants.4 As the industry introduces more complex and increasingly potent molecular formats with novel highly potent product-related impurities, ongoing advances will be necessary. Other improvements are rapid microbiological screening methods, more automated approaches to complex analytical problems, and improved systems for data analysis. Biopharmaceutical development and process validation have been accelerated by mini bioreactor systems, which can rapidly generate a large amount of development data, significantly reducing process development time.6 In response to the increasing need for parallelization and miniaturization of controlled and monitored bioreactors, microbioreactors with working volume below 1L have been developed. 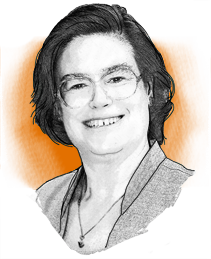 What’s the Outlook for Biosimilars? Very healthy indeed, based on broad forecasts of strong market growth. With an estimated $67 billion of patents on biological products expiring by 2020, biosimilars represent a major opportunity for the industry. The FDA approved the first biosimilar, Zarxio from Novartis, in 2015.9 Others are expected to launch in the near future, including biosimilars of mega blockbuster drugs such as Johnson & Johnson’s Remicade and AbbVie’s Humira. Although the FDA published guidelines on biosimilar development in 2012, the need for a well-defined development process, beginning with characterization and then comparison with the attributes of the reference product, is crucial. The industry has been eager for further regulatory guidance to determine interchangeability for biosimilars. Because of the complexity of biologics, the only way to establish whether there are differences that affect the safety and effectiveness of the follow-on product is to conduct clinical trials. Critical guidance on how biosimilars should be labeled to ensure regulatory transparency and accurate prescribing has yet to be issued by the FDA. “Biotechnology: Healing, Fueling, and Feeding the World.” Biotechnology Industry Organization (BIO). http://www3.bio.org/about_biotech/. Welch, A.,“What Biosimilar Makers Need to Know About 2016.” Pharm. Tech. Jan 08, 2016. http://www.biosimilardevelopment.com/doc/what-biosimilar-makers-need-to-know-about-0001. The 2016 Nice Insight Contract Development & Manufacturing Survey. Xu, S., “Rapid Early Process Development Enabled by Commercial Chemically Defined Media and Microbioreactors.” BioPharm International. Feb 01, 2015.http://www.biopharminternational.com/rapid-early-process-development-enabled-commercial-chemically-defined-media-and-microbioreactors. BioPharm International ebook, Jun 2015.http://www.biopharminternational.com/biopharm-international-ebooks-06-15-2015. Dhanasekhran, K., et al., “Rapid Development and Scale-Up of Biosimilar Trastuzumab: A Case Study of Integrated Cell Line and Process Development.” BioProcess International. Apr 14, 2015. http://www.bioprocessintl.com/manufacturing/biosimilars/rapid-development-and-scale-up-of-biosimilar-trastuzumab-a-case-study-of-integrated-cell-line-and-process-development/. Bringing a biologic therapy to commercial reality takes an absolute dedication to operational, technical excellence; contract manufacturers are increasingly providing this capability. Increased investments at the discovery and early development phases are leading to robust pipelines and creating demand for greater clinical- and commercial-scale manufacturing capacity. While biologic drug manufacturers are expanding their own in-house capabilities, these companies are also increasingly turning to outsourcing partners, particularly for the production of drug substances and products that require specialized expertise. HBD identified over 500 companies that claim to be CMOs / CDMOs, but note that only approximately 90 of them have the actual capabilities needed to manufacture recombinant proteins at large scale. Roots Analysis, meanwhile, says that over 160 biopharmaceutical CMOs offer services ranging from cell line development to biologic API manufacturing to fill/finish operations. These companies include both pure contract service providers such as Lonza and CMC Biologics and large bio/pharma companies that have excess capacity available for contract manufacturing, such as GlaxoSmithKline Biopharmaceuticals and Boehringer Ingelheim BioXcellence. The extent to which biopharmaceutical CMOs / CDMOs are benefiting from significant increases in spending by bio/pharmaceutical companies of all sizes is revealed in the results of the 2016 Nice Insight CDMO Outsourcing Survey 6 of bio / pharma professionals (n=587). Most notably, 95% of respondents indicated that they currently or intend to use biopharmaceutical manufacturing services. In addition, a similar percentage of survey participants use or plan to use CDMOs / CMOs for clinical- and commercial scale biologic API manufacturing (57% and 30%, respectively) as do for small-molecule API manufacturing (56% and 33%, respectively). 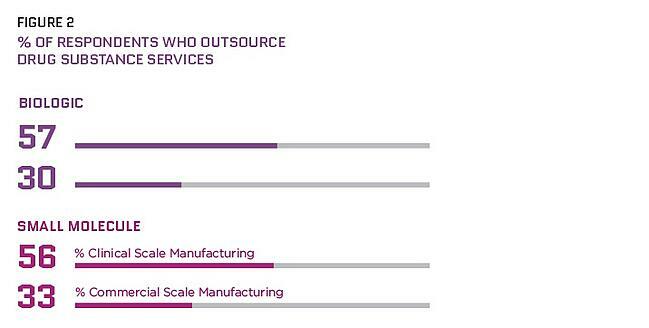 With respect to the spending levels for the survey participants using biomanufacturing services, 73% and 26%, respectively, spend over and less than $50 million annually on all outsourcing activities. Merger and acquisition (M&A) activity has also been fairly intense in the contract biopharma sector. The market is fairly fragmented with a large number of players (vide infra), so it is not surprising that consolidation is occurring. 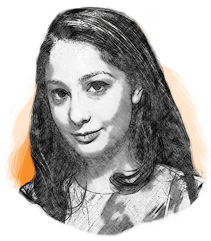 There are additional drivers, however — the largest perhaps, being the desire of CMOs to transform themselves into international CDMOs. Such service providers can meet client needs for global partners with small- to large-scale capabilities, expanded service offerings and advanced technologies. Results of two different industry surveys of biopharmaceutical contract manufacturers suggest that CMOs / CDMOs will be expanding capacity in the coming years. Capacities for mammalian cell culture and microbial fermentation in 2015 were reported by BioPlan Associates to be nearly 82% and 68%, respectively, with mammalian capacity utilization in the U.S. (72%) higher than that in Europe (51%), and vice versa for microbial capacity utilization (55% and 66%, respectively).5 In addition, the surveyed CMOs expected on average 5-year planned increases of 49% and 25% for mammalian and microbial bioreactor capacity, respectively. Companies adding notable capacity include Patheon Biologics, AbbVie (for pipeline support and CMO services), KBI Biopharma and Fujifilm Diosynth Biotechnologies. Authors: Steve Kuehn, Cynthia Challener, Ph.D., Marilyn Seiger, MA, MBA, Carrie Cao, Ph.D.
Downey, W.,“Biopharmaceutical Contract Manufacturing Capacity Expansions.” Contract Pharma. Jun 02, 2015. http://www.contractpharma.com/issues/2015-06-01/view_features/biopharmaceutical-contractmanufacturing-capacity-expansions. Stanton, D., “Bio-CMO sector to grow over 40% on Big Pharma’s burgeoning pipelines.” BioPharma-reporter.com. Apr 25, 2015. http://www.biopharma-reporter.com/Upstream-Processing/Bio-CMO-sector-to-grow-40-on-Big-Biopharma-s-burgeoning-pipelines. Roots Analysis, “Biopharmaceutical Contract Manufacturing Market, 2015 –2025.” Press Release. Sept 16, 2015. Garguilo, L.,“Samsung BioLogics: How To Build A CMO Business.” Outsourced Pharma. Jun 26, 2015. http://www.outsourcedpharma.com/doc/samsung-biologics-how-to-build-a-cmo-business-0001. BioPlan Associates Inc., “Top 15 Trends in BiopharmaceuticalManufacturing.” Contract Pharma. Sep 11, 2015.